Dimensions 0.75 by 4 by 6.75 in. In order to save Spider-Man and Bishop from cast into the infinite future and lost forever in the timestream, the X-Men must wrest the time arrows from Kang's mercenaries, in an illustrated comic-book fantasy adventure. Original. 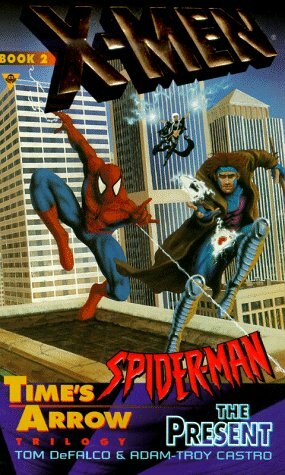 Amazon.com description: Product Description: In order to save Spider-Man and Bishop from cast into the infinite future and lost forever in the timestream, the X-Men must wrest the time arrows from Kang's mercenaries, in an illustrated comic-book fantasy adventure. Original.